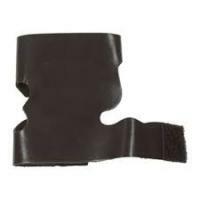 This leather guard velcro attaches securely around the trumpet valve casing to help protect the lacquer finish. Copyright © 2003-2019 Pfabe's Music. All Rights Reserved.